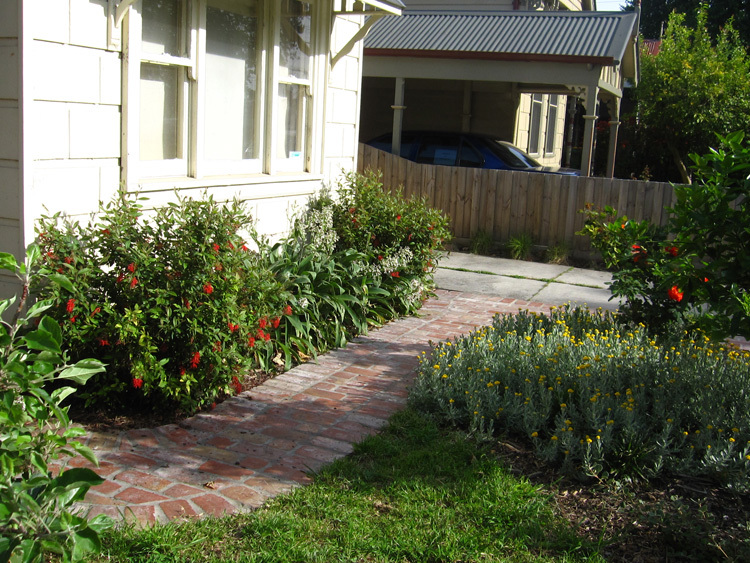 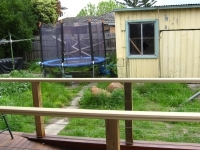 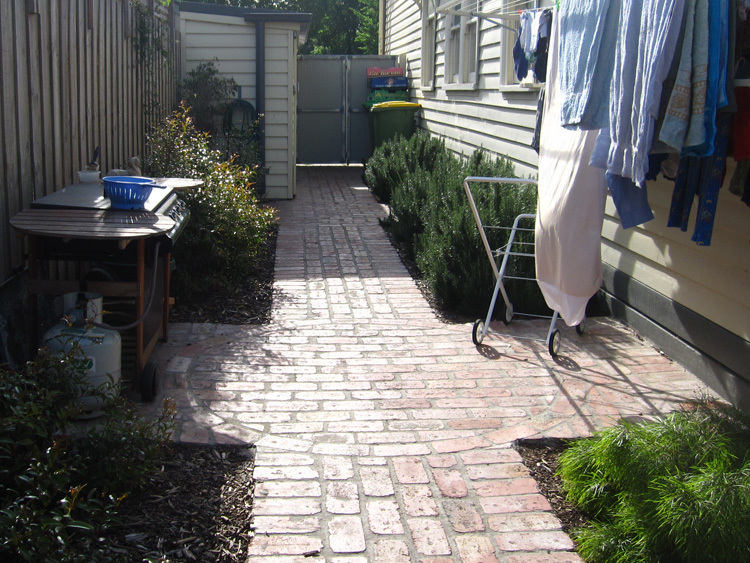 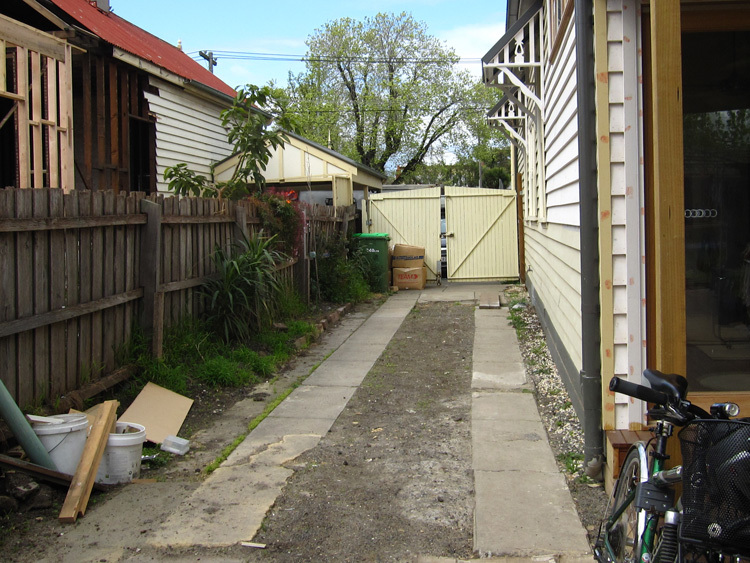 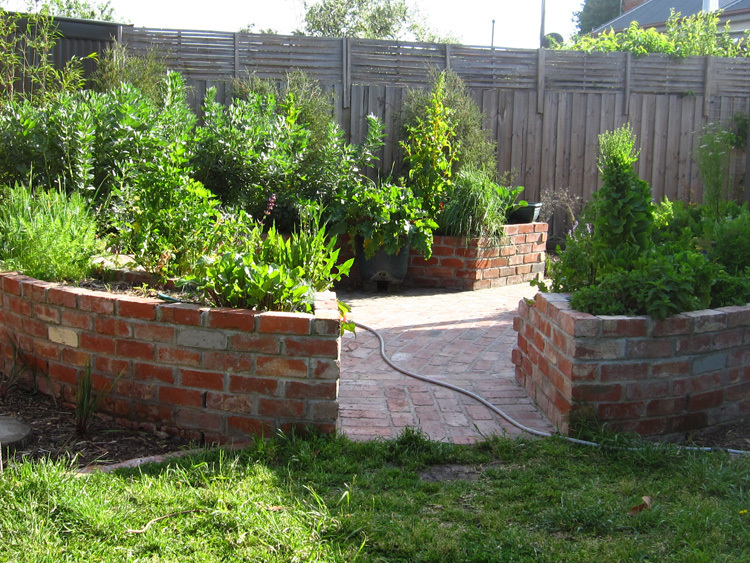 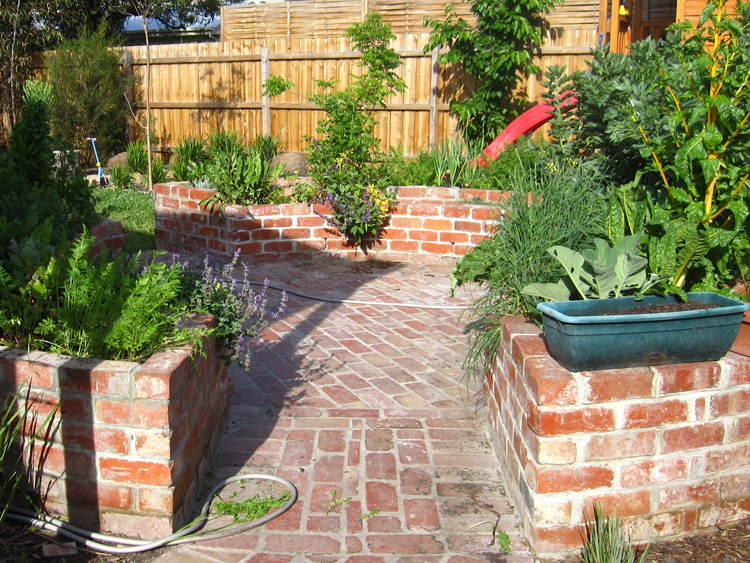 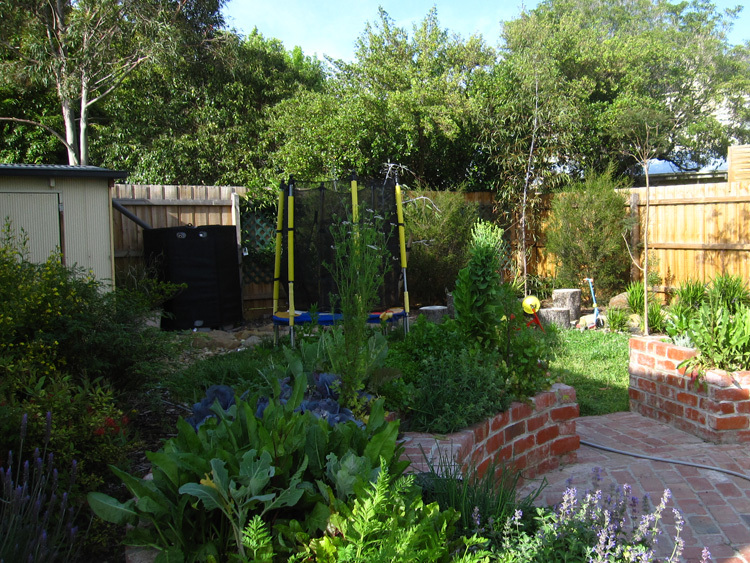 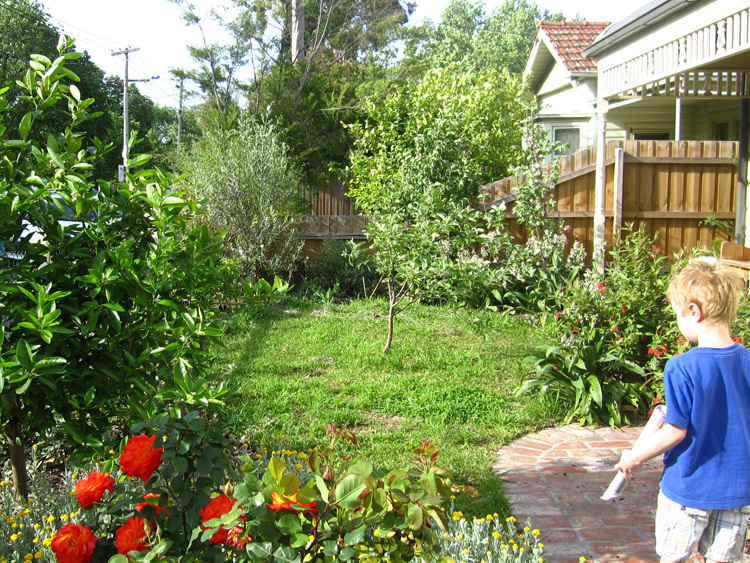 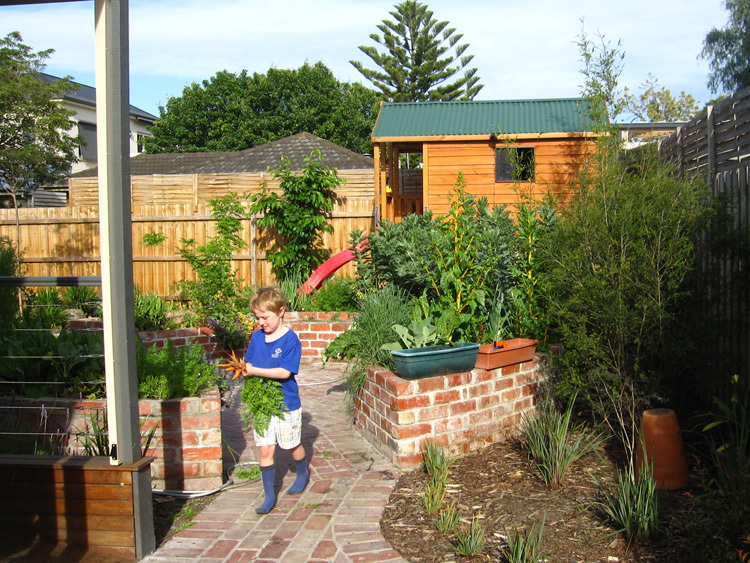 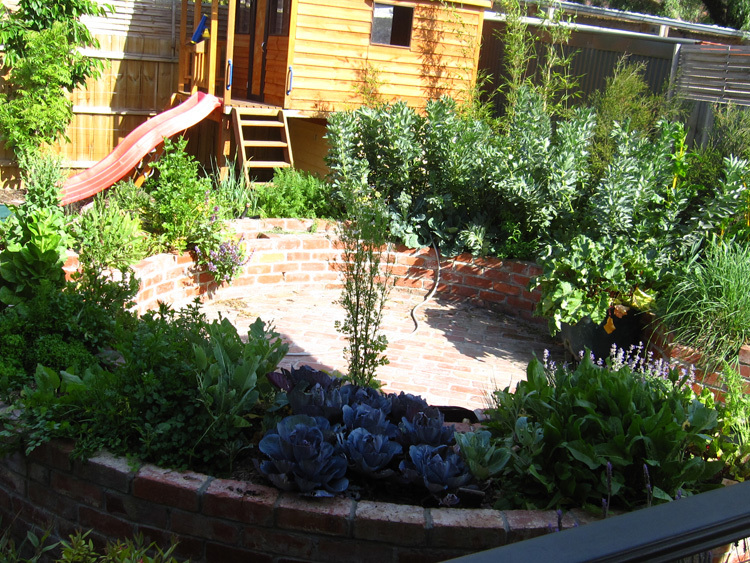 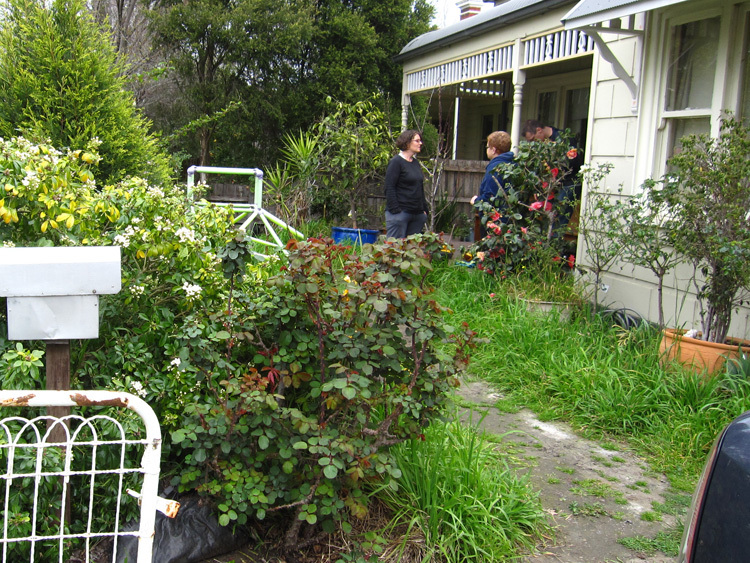 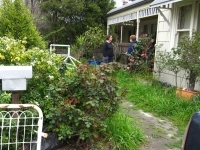 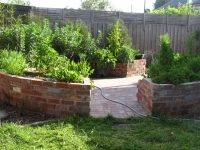 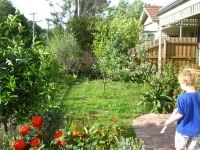 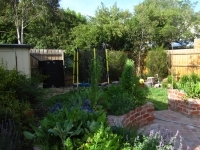 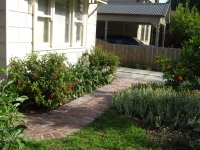 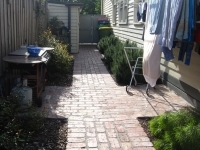 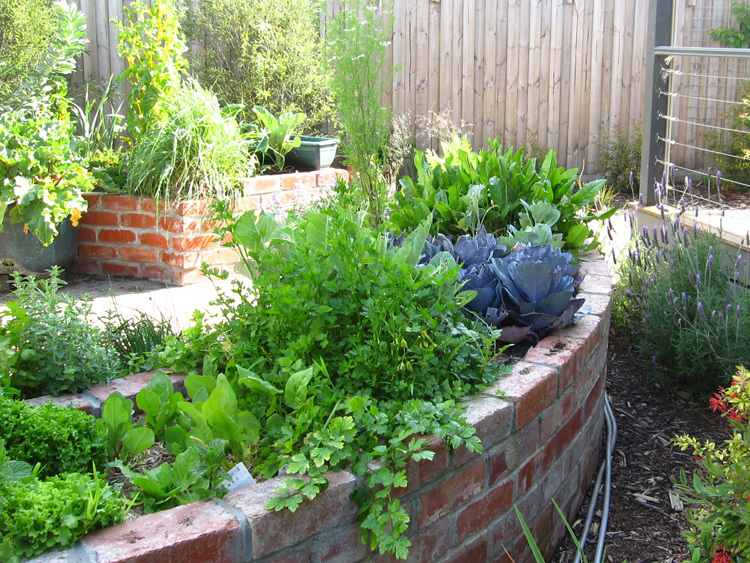 This Northcote home had a priority for creating a garden for children. 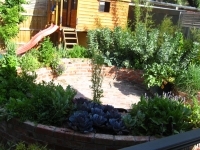 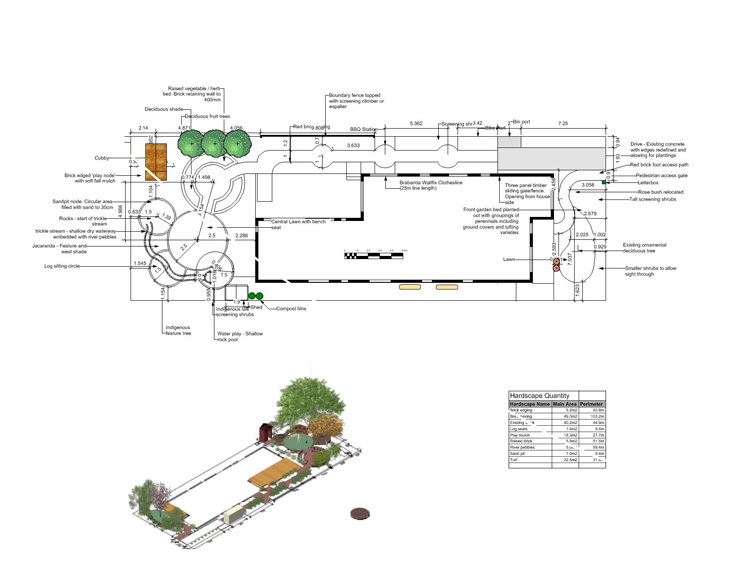 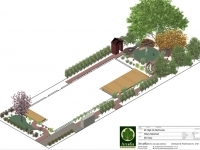 There was also an interest in creating accessible veggie beds. 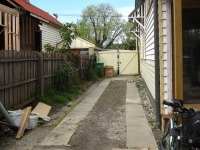 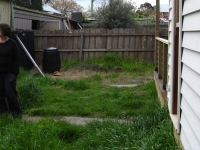 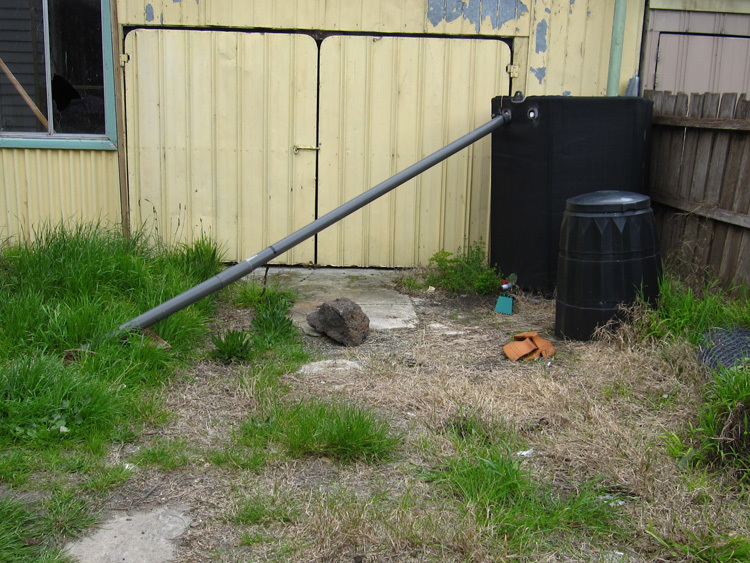 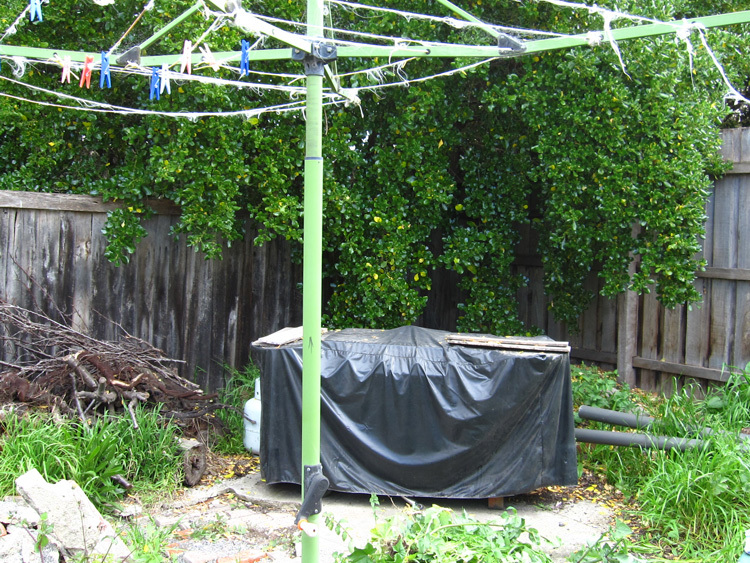 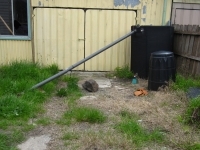 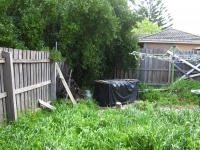 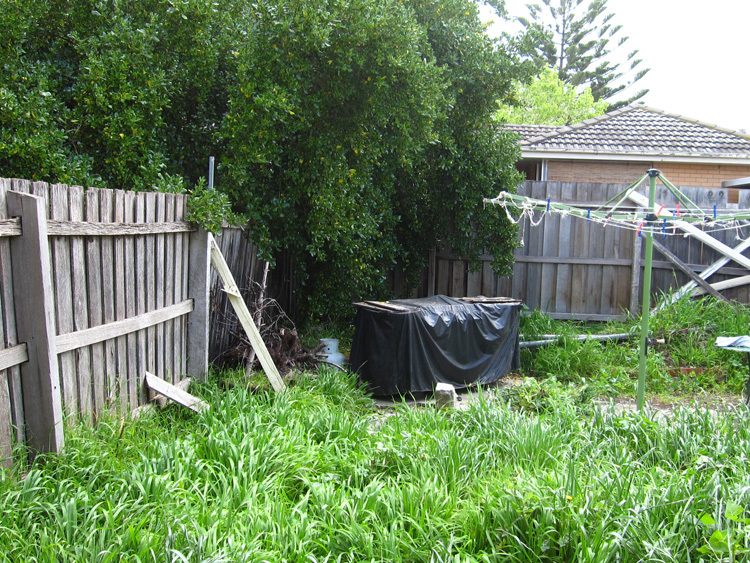 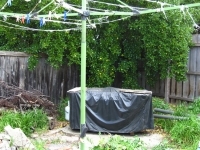 The existing back yard was a mess of overgrown grass dominated by an old clothesline. 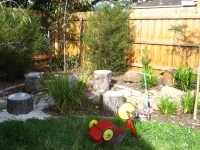 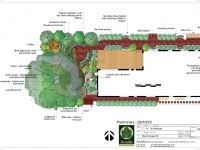 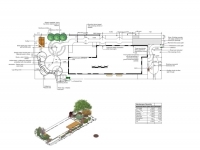 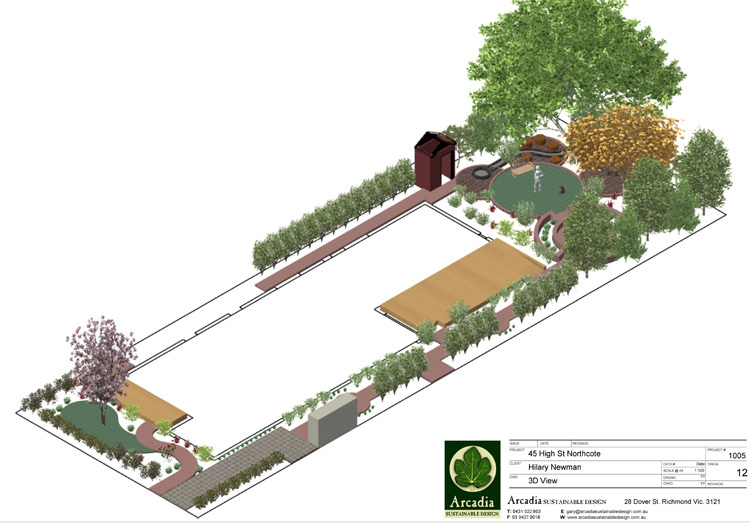 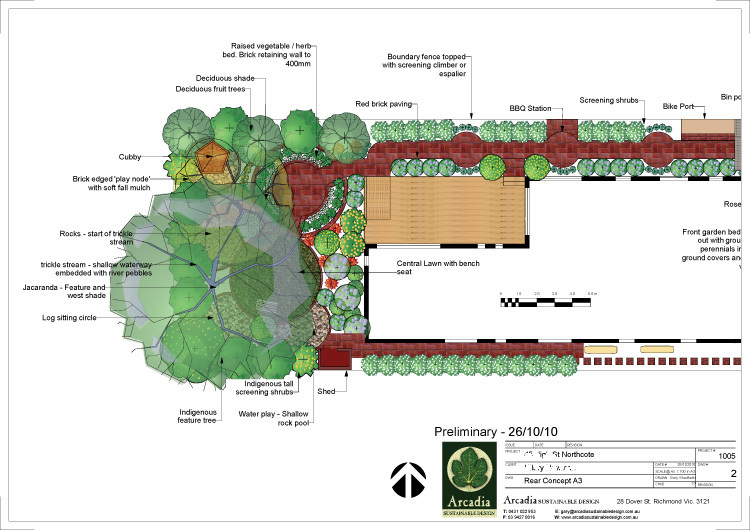 A new garden design reduced the grass to a central circular lawn surrounded by a series of play zones linked with an ephemeral creek bed that could allow water play. 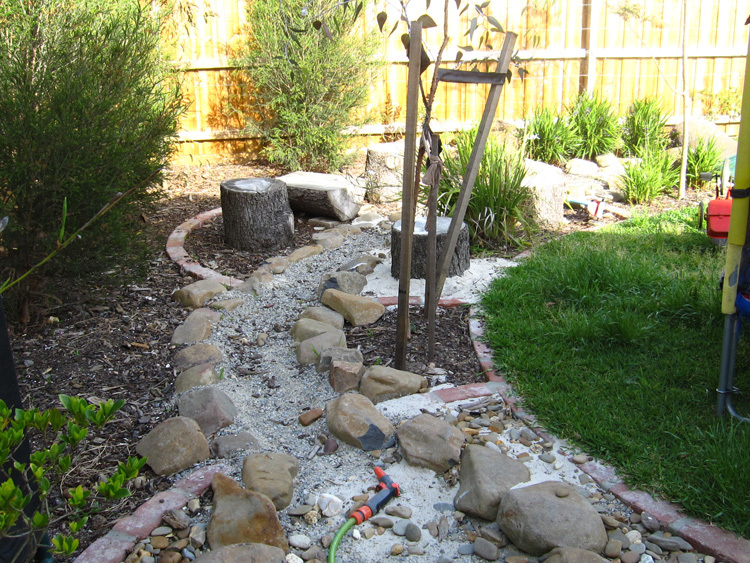 We included natural materials such as logs, rocks and sand to encourage creative play. 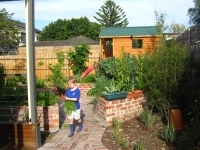 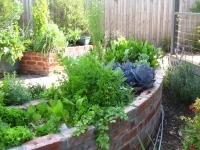 Closer to the house a raised feature veggie bed provide clean and easy access to growing food.